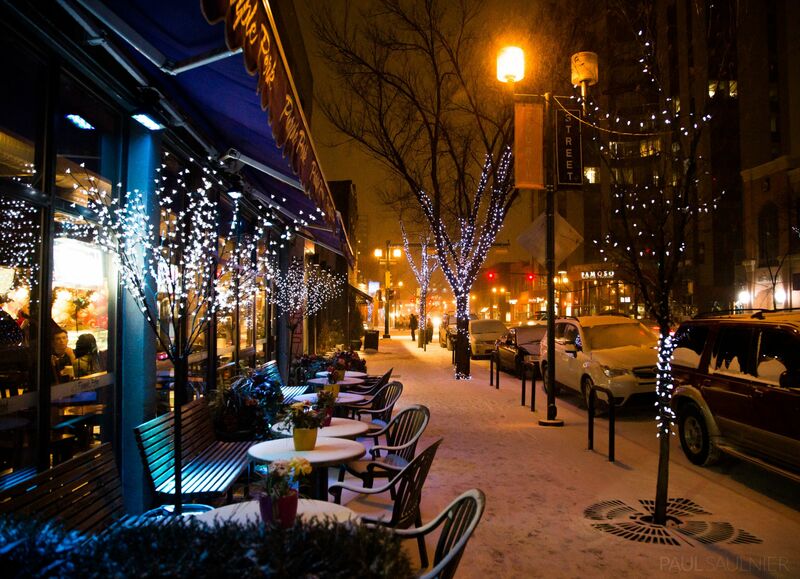 Winter visits Calgary several times each year with short bursts of cold weather bringing snow and minus 30 degree temperatures. 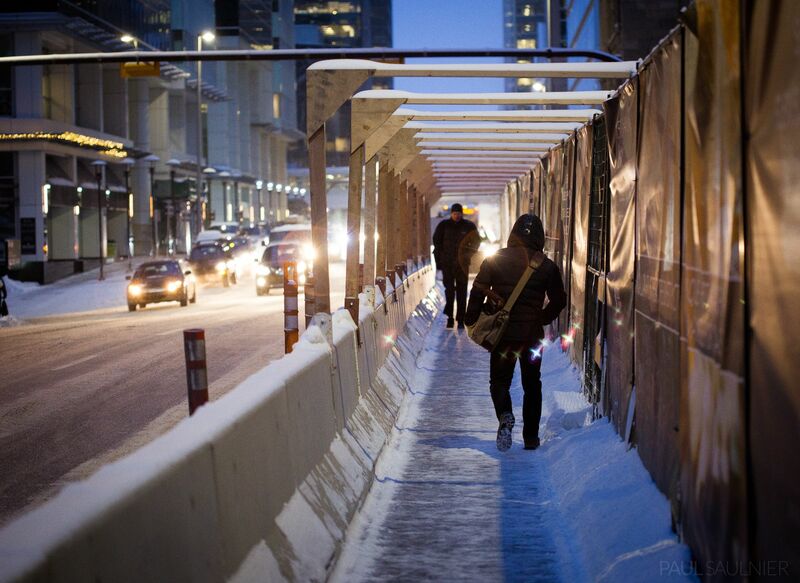 It can be an unpleasant time to explore the city, but also a rewarding one for photographers! Here are some of the favourite photos of the season. 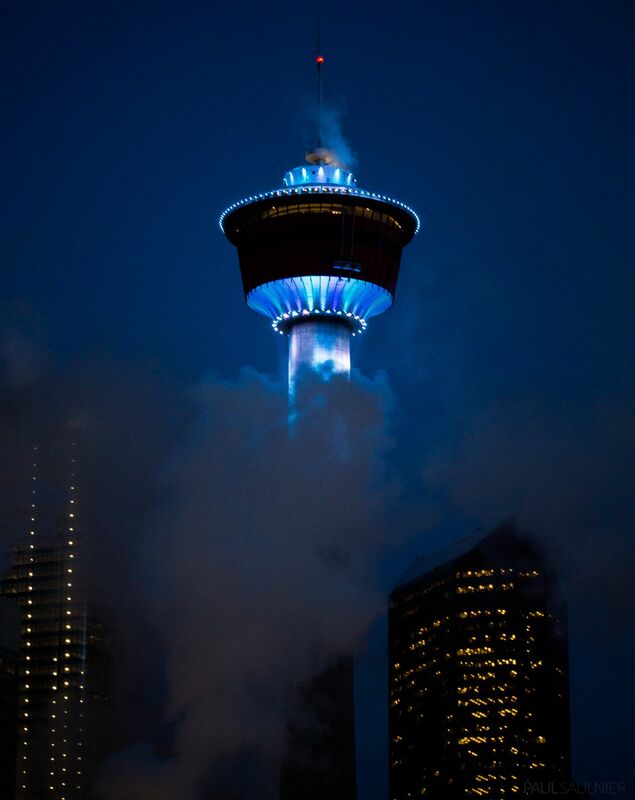 The Calgary Tower rose above some steam caused by the cold weather. 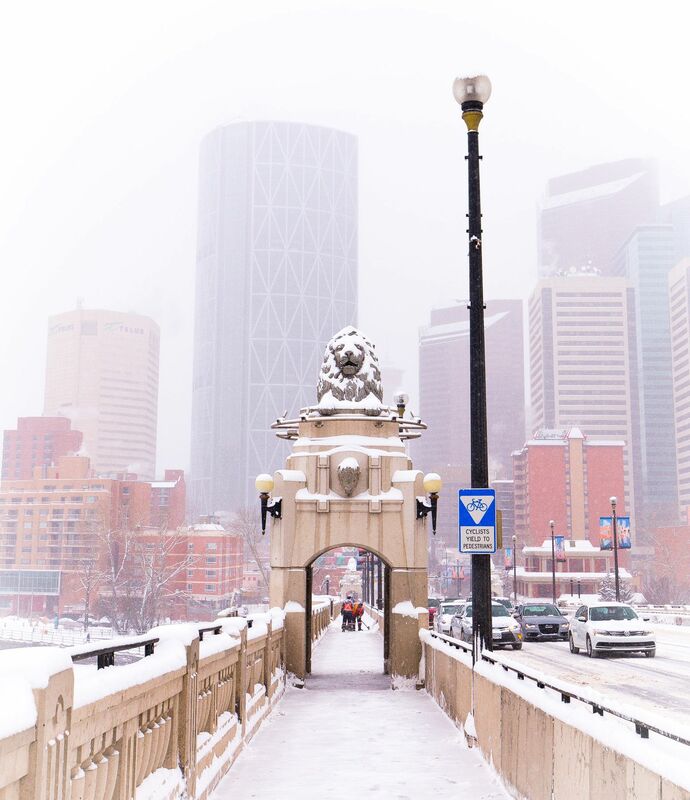 The Centre Street Bridge looked great against the downtown Calgary skyline which faded behind the falling snow. 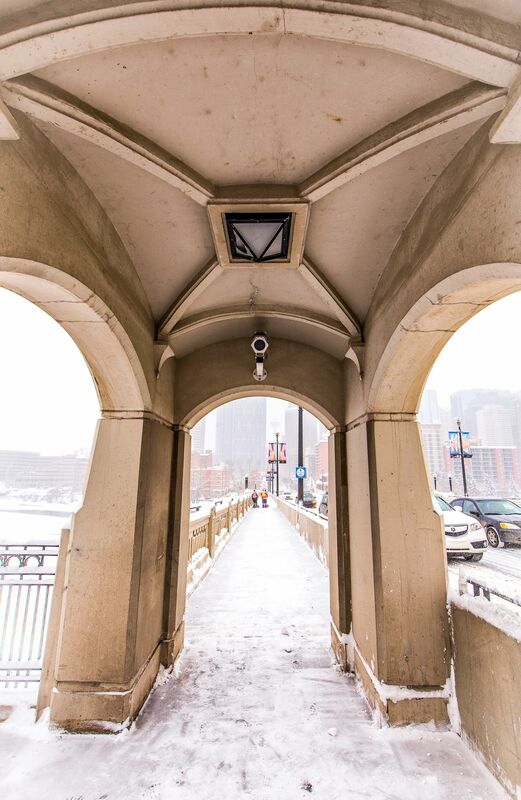 This is the view inside one of the Centre Street Bridge lion towers, taken with my wide angle lens. 4th Street, Mission. It was very cold, but so pretty at night! 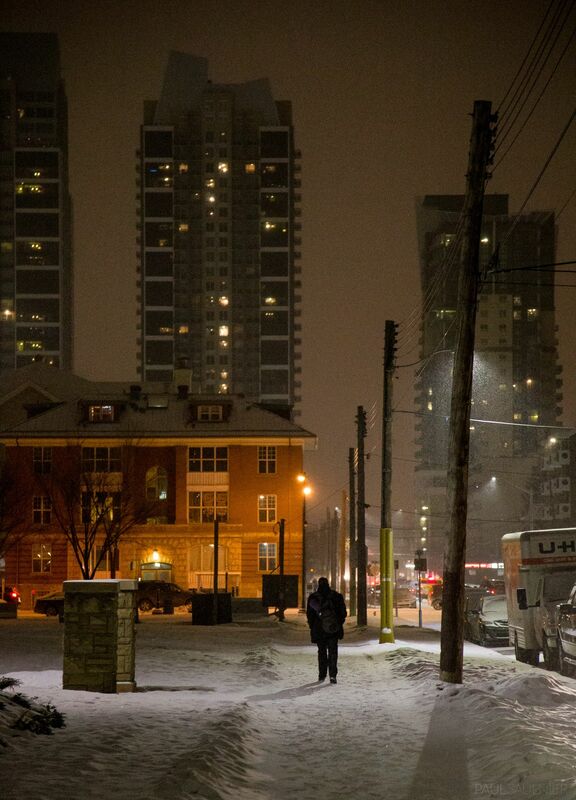 In Victoria Park, new condo towers rise above older structures. I enjoy the contrast. The images in this post were originally published on my Instagram account @paulsaulnier.